This year was the year I discovered JoJo Moyes. Moyes is a British author who has penned countless romance novels. In the span of a few months, i’ve read three of her books and I’ve enjoyed each one more than the last. I like to describe her books as “chick lit with depth”. 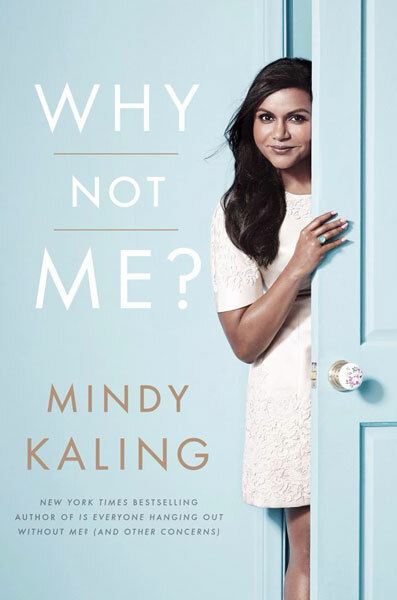 Her books are the perfect summer reads – you know the kind of book that you pull up on your kindle while you’re poolside sipping on a pina colada. There’s quirky characters, engaging plots, and underlying deeper message that stays with you long after you finish the book. Me Before You tells the story of a young sheltered girl who goes to work as a nurse for a man in a wheelchair. The man, Will, is now living a semblance of the life he used to live – one that used to be life will adventure, determination, and spontaneity. Together Lou and Will teach each other about life and love. While sometimes light-hearted and comedic, the book also touches on a darker medical issue which I won’t go into because of spoilers. The book became so popular that there is now a movie in the works set to be released in 2016. Moyes also published the sequel, After You, in September of this year. 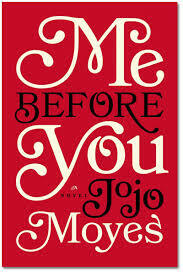 I devoured both books, but I must admit Me Before You was my favorite. While waiting for the sequel, I read One Plus One, another Moyes book. One Plus One tells the story of a single mom living a busy, chaotic life trying to make ends meet. When her daughter becomes eligible for a scholarship at a prestigious university, the family embarks on a road trip where they meet a strange man who helps them out. What follows next is a comedic yet touching romance and look at what family really means. If you’re looking for an easy read that still stimulates the mind, stars a strong female lead, and makes you feel the warm fuzzies, then JoJo Moyes is your go-to author. Have you read any of Moyes’ novels? Who is your go-to author for a good read? Ironically enough, as I approached my late 20s I became more and more interested in the young adult fiction genre of books. Growing up, all I would read was The Babysitter’s Club and then I progressed onto Sweet Valley High. While they were fun books to read as a high schooler, they seem like nothing compared to the young adult books being written today. The Fault in Our Stars, Paper Towns, Eleanor and Park, and most recently, Fangirl are just some examples. What I love about these books is that the main character is almost always a misfit or an outcast in their high school. Yet that doesn’t faze them one bit. They are confident and fully embrace their quirks. Some come from happy families, and some not so much. It’s quite a drastic contrast from the Wakefield twins and the world of Sweet Valley I was accustomed to as a teenager. 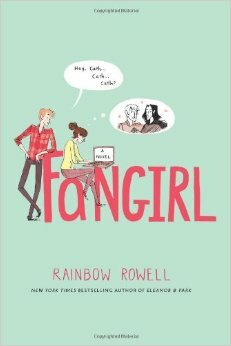 Fangirl, by Rainbow Rowell (now one of my favorite authors), tells the story of twin sisters who are in their first year of college. Cath writes fan fiction for a Harry Potter like saga called Simon Snow and resists change, so adjusting to college life is a struggle for her. Meanwhile her twin Wren is having the time of her life, attending parties, and meeting many new people. Sad, confused, and feeling like she doesn’t belong Cath continues to do what she loves to do: write. She doesn’t change who she is to fit in and by the end of the book she’s found like-minded people who care for her just as she is – a valuable lesson to learn no matter if you are 18 or 28. As a 28 year old, books like Fangirl might be considered a guilty pleasure for me but I feel like that does them a disservice. These are the types of books I would encourage my nieces to read as they get older. They are genuinely well-written books, with engaging, well-liked characters, and a cozy, comfy plot. They make you feel those warm fuzzies; they make you cry and they leave you so engrossed you just might miss your bus stop (more than once). Have you read any recent young adult books? Did you enjoy them or not? I remember the first Desi lit book I read – it was Born Confused by Tanuja Desai Hidier. From then on I went to read books like The Namesake and Interpreter of Maladies by Jhumpa Lahiri and Arranged Marriage by Chitra Divakaruni Banerjee. 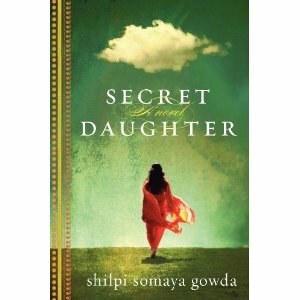 Recently, I read The Secret Daughter by Shilpi Somaya Gowda which has been on my list to read for a while. I loved the book. It touched on many various and deep topics such as female infanticide, adoption, and cultural clashes. Despite that, the book felt like a very easy thanks to Gowda’s simple writing style. I also loved that part of the book was based in the Bay Area. I would definitely recommend people to read The Secret Daughter. I finished it over the course of a few days because I was really drawn to the characters and the story line. It got a bit emotional at certain points, at which I had to stop reading while on the train unless I wanted to be that awkward person on BART (no thanks). Have you read The Secret Daughter? What did you think? What are you currently reading? Yes, I admit it: I’m twenty five years old and I still love reading chick lit. 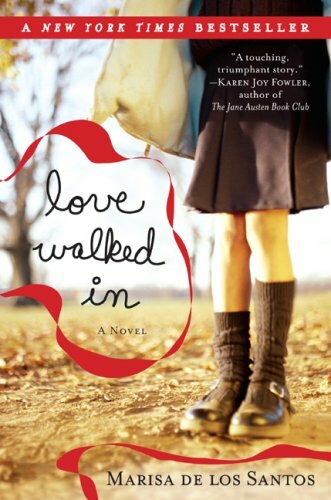 My favorite authors of the genre are Emily Giffin and Sophie Kinsella, but I recently picked up Loved Walked In by Marisa de los Santos. The novel opens up with a handsome, tall stranger walking into the coffee shop where Cornelia Brown works and changing her life forever. I know what you’re thinking: the stranger and Cornelia meet, go on a few dates, some drama occurs, and they fall in love and have their happily ever after. Let me just say that no, that is not how this book goes. Instead the readers get two parallel story lines of Cornelia and a young girl named Clare that intersect in a story about all kinds of love. I found de los Santo’s writing style to be incredibly engaging, poetic, and all the while an easy read. I look forward to reading her other novels: Belong to Me and Falling Together. Much like Kinsella and Giffin’s novels, I can see Loved Walked In being easily translated onto the big screen.